The agency has accused Kumar of not disclosing call detail records of six mobile phones used by the Sarada accused, despite the Supreme Court order directing the West Bengal police to cooperate fully. 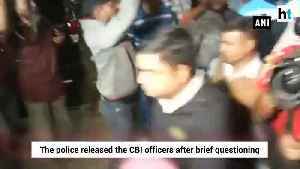 ▶ Videos for "Rajeev Kumar"
Kolkata Police Commissioner Rajeev Kumar today arrived at the CBI office in Shillong for questioning in connection with Saradha chit fund scam. This is the third day of his questioning by the central..
Central Bureau Investigation will grill Kolkata Police Commissioner Rajeev Kumar in Saradha Chit Fund case. 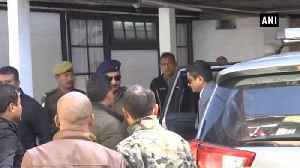 Rajeev Kumar arrived in Meghalaya's Capital Shillong to meet the interrogators Team. In the..
Andhra Pradesh Chief Minister Chandrababu Naidu on Tuesday arrived in Kolkata and joined “Save the Constitution” dharna. Naidu met West Bengal Chief Minister Mamata Banerjee who has been holding a..
Welcoming the Supreme Court order directing Kolkata police commissioner Rajeev Kumar to appear before the CBI, West Bengal chief minister Mamata Banerjee said that the nation is not run by the gun and..
he Supreme Court on Tuesday ordered Kolkata police commissioner Rajeev Kumar to cooperate with the CBI in the Saradha chit fund case. 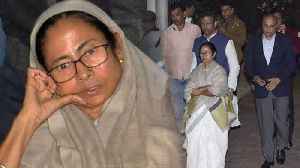 The court though made it clear that no coercive steps, including..
West Bengal CM and TMC Chief Mamata Bannerjee is staging a dharna over the CBI attempt to question Kolkata Police Chief Rajeev Kumar in connection with various chit fund scams. Gorkha Janmukti Morcha..
West Bengal chief minister Mamata Banerjee launched a dharna in the heart of Kolkata on Sunday to protest the move of the CBI to question Kolkata Police commissioner Rajeev Kumar as she accused Prime..
West Bengal Chief Minister and TMC Chief Mamata Bannerjee is staging a dharna over the CBI attempt to question Kolkata Police Chief Rajeev Kumar in connection with various chit fund scams. 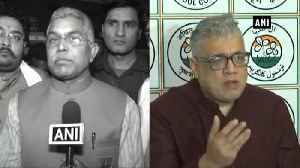 The face off..
After detaining five CBI officers who landed at residence of Kolkata Police Commissioner Rajeev Kumar in connection with a chit fund case, BJP and TMC accused each other of destroying democracy. West..
After detaining five CBI officers who landed at residence of Kolkata Police Commissioner Rajeev Kumar in connection with a chit fund case, city police took the detainees to the Shakespeare Sarani..
West Bengal chief minister Mamata Banerjee began her ‘Save the Constitution’ dharna around 8:45 pm Sunday at Esplanade in the heart of the Kolkata to protest the move of the CBI to question Kolkata..
CBI’s decision to move the SC comes after the court’s comment on the agency’s status report on former Kolkata police commissioner Rajeev Kumar's questioning in Shillong. Indicating the..
Rajeev Kumar, who took over as the state CID chief after completing his tenure as the city police commissioner, would hold additional charge of the two departments until further orders, a home.. The SC on Tuesday termed as "very very serious" the revelations made by CBI in its fresh status report relating to the recent interrogation of the then Kolkata Police Commissioner Rajeev Kumar in..
Rajeev Kumar, who recently took over as the state CID chief after completing his tenure as the city police commissioner, would hold additional charge of the two departments until further orders, a home..
Banking Secretary Rajeev Kumar on Thursday said the PSU banks have recovered Rs 98,000 crore in the first three quarters of the current financial year. 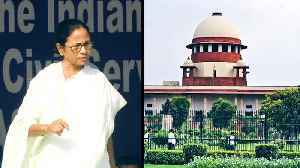 The Supreme Court Wednesday directed CBI Director Rishi Kumar Shukla to file an affidavit giving details about the alleged contempt committed by West Bengal cops and the then Kolkata police chief..
Kumar was made Kolkata police commissioner in May 2016. He was due for transfer ahead of the Lok Sabha elections. Kumar is accused of tampering the evidence in connection with the Saradha scam. Kumar also told the apex court that he finds it "very intriguing" as to why the "major decision" to grill him in connection with this case was taken by the CBI on February 3. Sources said that the transfer was almost certain following a Jan 16 order of the Election Commission which said any officer would complete three years of office at any particular place as on May 31,..
Central Bureau of Investigation on Wednesday culminated interrogation of Kolkata Police Commissioner Rajeev Kumar in connection with Saradha chit-fund scam. 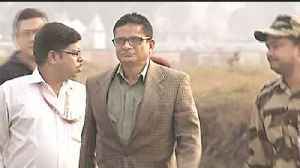 Kolkata Police Commissioner Rajeev Kumar on Wednesday appeared before the CBI here for the fifth day of interrogation in connection with the Saradha chit-fund scam. Rajeev Kumar, who in being examined since Saturday, arrived shortly before 10.30 am at the CBI office. He is being questioned in connection with his role in the alleged tampering of evidence in the.. 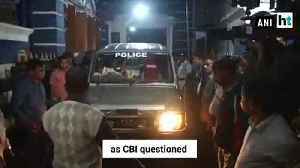 The Central Bureau of Investigation (CBI) has again summoned Kolkata Police Commissioner Rajeev Kumar on Tuesday after questioning him on Monday along with former Trinamool Congress MP Kunal Ghosh in..
Kumar arrived at the CBI office in Shillong on Saturday morning. Kolkata Police Commissioner Rajeev Kumar on Monday arrived at the CBI office here for questioning in connection with Saradha chit fund scam. 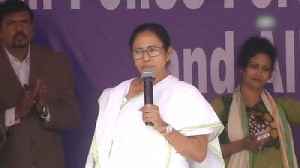 The Central Bureau of Investigation (CBI) on Monday again questioned Kolkata Police Commissioner Rajeev Kumar and former Trinamool Congress Rajya Sabha member Kunal Ghosh in connection with the Saradha.. The questioning is being held at the CBI office in Shillong after the Supreme Court had ordered that a 'neutral' place be selected for the interrogation. The CBI will continue the questioning of Kolkata police commissioner Rajeev Kumar for the second day on Sunday. 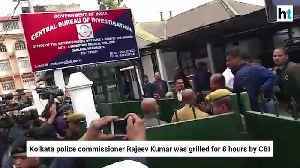 Daily bulletin: The CBI to continue interrogation of Rajeev Kumar in Shillong today, Narendra Modi to visit Andhra Pradesh; the toll in the illegal liquor tragedy in Uttarakhand, Uttar Pradesh rises to..
Kolkata police commissioner Rajeev Kumar faced an interrogation that lasted 7 hours 15 minutes in two rounds at the CBI's Shillong office on Saturday. Things may turn more complicated for Kumar on..
Rajiv Kumar and ex-TMC MP Kunal Ghosh will appear for questioning at the CBI office in Shillong on Sunday. Startling details have emerged from the questioning session of Kolkata Police commissioner Rajeev Kumar by CBI. Insiders reveal that Kumar insisted on recording the session right from the beginning of..